Sometimes you will need to copy over all your bookmarks, personal preferences, usernames and passwords on your Mozilla Firefox to another computer. Here is how you can do that. If you use a Firefox account, copying over all your bookmarks, preferences and passwords for various websites that you may have stored in your Firefox is pretty easy. 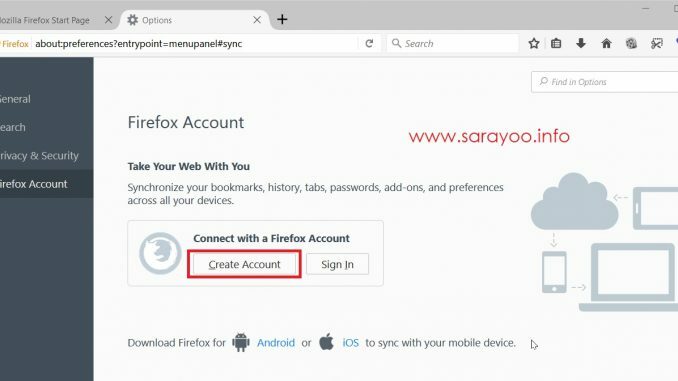 All you have to do is to sign in with your Firefox account on the new PC and it will sync all your data to the new Firefox. 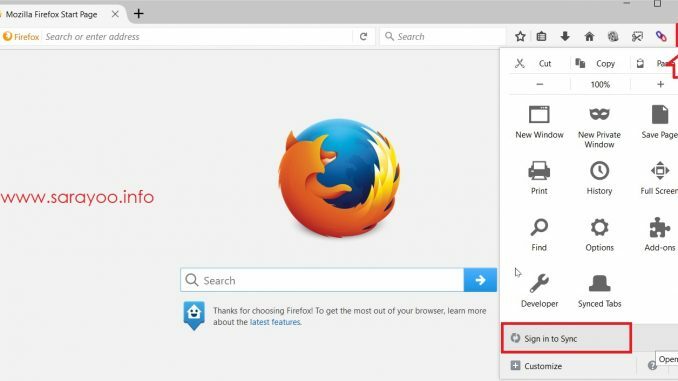 By having a Firefox account, you could not only copy your bookmarks and preferences to a new PC, but also can carry this with all your mobile devices where you use Firefox. 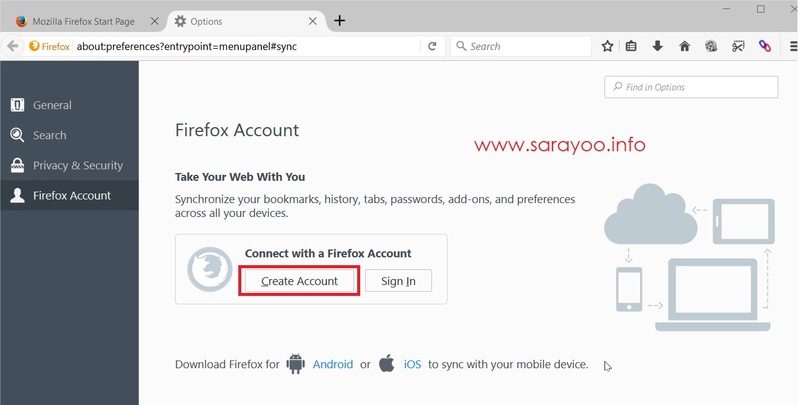 To create a new Firefox account, follow the steps shown in the screenshot below. 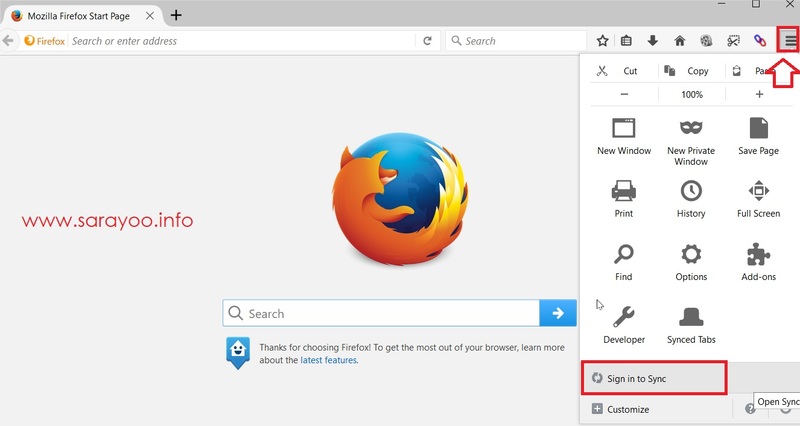 Step 1: Go to the PC you have all your bookmarks and preferences stored in your Firefox >> Close the Firefox and ensure that it is not running. Step 4: Copy the existing profile folder name on the new PC and change it to something else (e.g. old-h810b33a.default). Step 5: Then rename the Profile folder you just copied to the one you already had on your new PC as shown below. And you’re done! Now launch the Firefox and you’ve all your bookmarks, personal preferences, usernames and passwords from your old Firefox to the Firefox on your new PC! You can also follow me on Twitter @sarayoo.info or Google+ or Like me on my Facebook or on my LinkedIn for more updates, technology tips and tricks, iPhone, iPad, other iOS devices tips, iOS App Deals, Blogging tips, etc. Please leave your comments in the comment section or contact me if you have any other questions.